Games and puzzles are liked by all the children. Fun science games and puzzles are very effective tools for mental exercise and also help children to understand the concepts of science better. In order to make learning of science joyful, there are range of online games and puzzles on reasoning and science related topics. You can try these online activities of your interest free, for testing your logical thinking, reasoning skills and understanding of the science behind the game and puzzles in no time. Have fun learning with these online science games and puzzles. Play Bloxorz is a very interesting online game! Get the block to fall into the square hole at the end of each level. 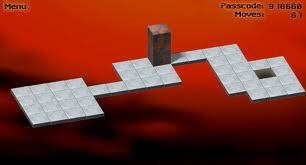 Great challenging puzzle game that will get you thinking for a while!